What are the Symptoms for SIBO? The most common test to assess for SIBO is the Hydrogen Breath Test. This test is performed by asking a patient to drink a specific sugar and then by measuring the amount of hydrogen gas produced and exhaled (to determine if bacteria are digesting the sugar). Unfortunately, this test is not entirely reliable. In my practice, I have elected to treat patients whom have clinical symptoms suggestive of SIBO with specific anti-microbial agents, which target the bacteria and have been shown to significantly improve symptoms. If the patient’s respond, we have treated their symptoms and made the diagnosis of SIBO. SIBO can be difficult to treat but treatment of SIBO consists of dietary changes and antimicrobial therapy. The FODMAP diet and an elemental diet can be very helpful because they eliminate the foods that the bacteria feed on. By essentially starving the bacteria, the symptoms of SIBO can improve. Both of these diets are difficult to follow for a prolonged period of time and most people are unable to completely control symptoms with diet alone. A new natural product called Atrantil is now available to treat SIBO. This product can eliminate the bacteria associated with SIBO and has been shown to significantly improve their SIBO symptoms. This product does an excellent job of treating the bloating and decreased intestinal motility often associated with SIBO. Another antimicrobial that has been shown to improve symptoms of patient’s with diarrhea predominant SIBO symptoms is rifaximin. This is a more expensive prescription medication but has significantly improved symptoms in many patients who suffer from diarrhea and bloating associated with SIBO. During the first few days of treatment with either of these agents, some patients will experience increased or worsened symptoms of bloating and abdominal discomfort as well as fatigue and body aches. This effect is called the “die-off reaction”. These symptoms tend to quickly improve and patients generally feel much better after the initial “die-off” symptoms improve. What is the Die-Off Reaction? Die-off is an accepted nickname for the period where toxins from dying bacteria are being released all at once while they are being eliminated. During this die-off time period, you are susceptible to experiencing temporary discomfort. Some of the common symptoms experienced during the die-off period are increased bloating and abdominal discomfort, mild fatigue, muscle aches or even a low-grade fever. While the symptoms during the die-off period can be mildly unpleasant, it is actually a good thing since it means that the unwanted bacteria in the small intestine are being eradicated. Not everyone will experience a die-off period while their SIBO is being treated. Disclaimer: The information presented on this website is not intended to take the place of your personal physician’s advice and is not intended to diagnose, treat, cure or prevent any disease. Discuss this information with your healthcare provider to determine what is right for you. All information is intended for your general knowledge only and is not a substitute for medical advice or treatment for specific medical conditions. I am taking atrantil for Sibo. I have diarrhea associated sibo. Does this product actually kill off the bacteria so the small intestine is not too full? I am on the fodmap diet. Due to bad advice I developed resistance to rifaxamin so am really counting on this product. I guess I am asking if atrantil can eradicate Sibo. Sorry to be so wordy. Would appreciate your insight. Yes, there is evidence that Atrantil can eradicate the bacteria that tend to cause SIBO. The FODMAP diet is also very helpful. In my practice, I have found that the best way to take Atrantil to eradicate SIBO is to take 2 capsule three times daily with food for the first 20 days and then decrease dose to 2 capsule daily with breakfast thereafter.Thank you for the question and I hope you start to feel better soon. I do want to point out that if you are taking any other medications, it is always best to consult with the prescribing physician before taking any supplement to ensure that there is no conflict. How do you tell the difference between “die off” symptoms and symptoms of feeding the bacteria? Hi Kayla. The “die off” symptoms may be very similar to the symptoms of SIBO. The “die off” effect can be quite variable and symptoms can range from temporary increase in bloating and gas to flu like symptoms. This “die off” effect should only last a few day and the symptoms should then start to slowly improve. What microbials do you suggest for your patients? Hi Becky. In my practice, I generally suggest Rifaximin for bloating with diarrhea and Atrantil for bloating with more constipation predominant symptoms. Antibiotics such as levofloxacin and metronidazole are often used for diverticulitis or infectious colitis. Hope that helps. I have an 8yr old little girl with a feeding tube . She had 18 surgeries . I noticed that her stomach was swelling by her J-tube site . The doctor said that it was bacteria growing in her small bowl and put her on antibiotics she has been on them for a week now and it is getting worse . Is there anything more than can help her ? Hi Cynleia. I’m sorry to hear of your daughter’s health issues. Other than antibiotics and medications, I recommend an over the counter product called Atrantil to my patients to treat bacterial overgrowth in the small intestine. You might ask your doctor to see if they feel that might be a good alternative due to the negative reaction to the antibiotics. They can use this link to get more information http://atrantil.com/healthcare-professionals/. 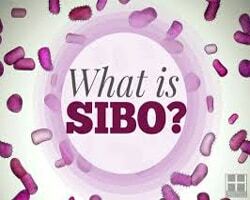 I have, apparently, had SIBO for around 10 years and never knew it. I recently took the breath test and showed positive to methane causing SIBO. I have been on a herbal protocol (Antrantil, Iberogast, Betain HCI, Potassium, Magnesium, etc) and the strict SIBO diet from Dr. Siebecker. The first few days or week, I could see some improvements, although I had incredible gas. By the second week (and after my menstrual cycle), I have not felt so well and am struggling with bouts of nausea, stomach upset, urgent need to have bm (even if very little amount). I am not quite sure if this is normal or if there is such thing as a “normal” with SIBO. Is this part of a die off? Please advise. Hi Alisha. All patients experience different symptoms with treatment. I suspect that you are experiencing a prolonged “die off” effect. I would recommend continuing with your medications along with Atrantil. Also, if you do not have difficulty taking Aspirin, I would recommend taking Aspirin 81 mg daily for the next couple of weeks to attempt to decrease the “die off” symptoms. I hope that helps. Dr. Eidem, I have been battling digestive issues for a year now. They all started when my second daughter turned 10 months old, with the onset of my first menstrual cycle after delivery. At first, I thought it was hormone related. I have had two gastroenterologists perform endoscopies and one colonoscopy. All that was found is gastritis. The PPI’s made me significantly worse. Then started the liver/gallbladder area pain. I had a HIDA scan and gallbladder function is 47%, considered normal. No stones. Told me to see surgeon for second opinion. One told me gallbladder disease. Second told me absolutely not, gallbladder is fine. Apparently I have no food allergies and tested negative for Crohn’s etc. Saw an endocrinologist who confirmed all is fine hormonally, except strong estrogen surge at ovulation. Still felt horrible. Decided to see a naturopath. She did her testing and found I had an amoeba and my digestive system was extremely inflamed. I took supplements and started improving. Not 100%, but five months later, I started feeling better. I was still experiencing some indigestion, upper right quadrant discomfort and lower abdominal pains. I decided to try the Specific Carbohydrate Diet to really heal fully. After almost two full weeks, my symptoms have gotten worse. Constipation, now diarrhea. Lower abdominal pains like I need to use the restroom but nothing will happen. A gnawing feeling in my upper abdomen. It’s been going on for 4 days now, after 2 weeks on the SCD diet. I am curious if I am experiencing this “die-off.” What are your thoughts? I see a new gastro doc tomorrow and will see what he says, but I am so curious about this post. It’s been terrible feeling like a doctor can’t even help me or tell me what’s wrong. I live in Houston and wish I could see you in Plano! Sounds like you know what you’re talking about. Thank you for taking the time to read this! Hi Ashleigh. A “die-off” reaction is when toxins from dying pathogens (e.g. bacteria) overwhelm the body’s abilities to clear them out. Just because your symptoms get worse does not definitely mean that you are experiencing a “die-off” reaction. In this article I wrote on SIBO, I was referring to the process of the body moving the overgrowth of bacteria in the small intestine to the colon where they belong. For some, that process can cause a “die-off” reaction where the dying bacteria attempt to fight that process. Although the symptoms may temporarily worsen, it is actually a good result for those with SIBO, as it means that their bacterial overgrowth is being reduced or eradicated. Given all that you’ve been through I can appreciate your need to do your own research and try to determine other possible causes to your symptoms. That being said, I don’t provide medical advice online and I’ll defer to your doctors to determine the cause of your symptoms. Sorry that I could not give you a definitive answer and hope that you start to feel better soon. Hi Gerry Ann. I’m sorry that you are having so many health issues and understand that when current treatments aren’t working that many people go online for answers. While the Internet is a good resource to better understand different health conditions and symptoms, it should not be used for treatment advice. Due to HIPAA guidelines, doctors cannot give health advice online. I would encourage you to continue to document your symptoms & bowel movements along with your diet and share that information with your doctor. I hope that working together with your doctor will lead to getting your symptoms under control. Hi Doctor, I have been diagnosed with Sibo with the breath test. Have started with sibo protocol for last one month – xymogen berbemycin, enterovite, allimax- allicin capsules, candicidal, iberogast, klaire labs interface ( biofilm disruptor), sibiotica .. I didn’t had any side effects of these. But after trying enzymixpro after meals I started vomiting… My symptoms are after food only left side I will get tight, squeezing , burning shoulder blade pain , starting from the mid back left side and extending to my left arm., left side throat getting stiff tight, lying down makes the pain worst. And more important left calf muscles get tightened simultaneously the shoulder blade pain gets tightened both at same time. I am working with all the doctors Gastro entologist, Gp, ent surgeon, natural doctor, endocrinologist, my MRI is normal, ECG is normal, thyroid tests are normal, all the blood tests are normal magnesium, crp, serum, ferritn, calcium, h1gb, RBC folate all normal. The Gp , endo, ent surgeon said its not related to your hashimotos thyroid and the 4.5 cm nodule which is there on my left side. 2 opinions been taken from ent surgeon regarding nodule, they said you dont need surgery since its not related to that . My pancreatic elastase has come very low 88, the gastroentologist has asked me to try Creon samples I am trying for last 1 day with 2 capsules with meals. After bowel movement my pain will go but it comes back after eating mainly the left side shoulder blade squeezing tightness. What kind of tests I can do further to get the correct diagnosis of pancreas damage /inflammation or if the inflammation has spread to my lungs or other organs since pain is in shoulder blade and calf muscle( no swelling nothing). I now you can’t give me medical advice but the symptoms which I am getting based on that I have researched it is exocrine pancreatic insufficiency. I am 35 and want some correct advice regarding what tests I can do to diagnose in detail pertaining to pancreas. Also talking to my doctor next week on this…any advice would be of great help. I had digestion issues for long time on and off but these shoulder blade pain started in the last 3-4 months..physical therapy or muscle relaxants doesn’t help. I have had a positive hydrogen breath test. All are tests–and there were alot of them were negative or slight. I took rilaxin for a month with little change and Atranil with little change. I am now of herbal products which are the one’s listed in the research. So far little change. This has been almost a year of bloating, I cannot walk more very far without discomfort. My waist is 42 inches. I used to be 34-36 and I am not fat. I had a motility test and it was negative. Can you contact me by phone? Hi Rati. I’m sorry to hear about all of the health issues that you’ve been experiencing. Unfortunately, due to HIPAA guidelines doctors can’t offer medical advice online. I will have to defer to the advice your doctors are providing to you and hope you start to feel better soon. Hi Joel. I’m sorry to hear about all of your issues. I’ve had good success with Atrantil helping most of my patients achieve bloating relief. However, it doesn’t work for everyone. If you’re located in the Dallas area, you’re welcome to schedule an appointment and we can discuss your issues – https://mattheweidem.com/request-appointment/. Unfortunately, I don’t do consults with non-patients, so having a phone call is not possible. I finally started my antibiotic (Rifaximin) that was prescribed for Sibo which I was tested positive for with hydrogen test. My Doc said that I am mainly hydrogen dominant SIBO but also have a bit of Methane producing bacteria. 1)My symptoms improved for the first 3 days of the antibiotics with no gas and bloating at all but on the 4th day today, I have really worst gas. Having said that today I had a slice of pizza and bread. Would that have caused it as usually I try to avoid carbs. 2) But shouldn’t the medicine have stopped the gas like it did the first three days ( even though I did not eat much carbs the first three days). 3)Can it be die off symptoms but how come I had no gas and bloating for the first three days? Any thoughts please? 4 should I stay on low FODMAP diet while on the medicine or be on high fodmap diet while taking it , I was reading somewhere which suggested that you should stay on high fodmap diet while taking this medication because that way bacteria would be active and the medicine will target and treat it better. What is the approach that I should follow while being on it, low fodmap or high fodmap or what diet should be taken? 5) I will continue the medicine for 14 days. Lastly should I also be taking antibiotics for Methane producing bacteria? Even though , mine is mainly hydrogen dominant. Can the methane producing bacteria be causing gas now since the hydrogen based bacteria is being tackled by the antibiotics. Is that the correct logic? Hi Dr. Eidem, do you know if Atrantil can be mixed with an Allimax/Berberine/Neem protocol? (Rifaximin worked great for me before, but after a year or so my eating got off track and it came back. I no longer have the insurance that covered that $2000 Rx so trying another route). Hi Caura. I have not recommended that combination with Atrantil yet, so I can’t speak to any experiences regarding patient results. That being said, mixing an Allimax/Berberine/Neem protocol should not adversely affect the efficacy of Atrantil. However, that protocol can sometimes cause GI distress, so if any side effects occurred they could be more pronounced due to that combination. The fore mentioned is just a general opinion, and I would recommend consulting with your physician for a definitive answer. *The comments of Dr. Eidem on MatthewEidem.com are solely meant for educational purposes and do not represent treatment recommendations. You should always consult with your physician when seeking health care advice or treatment recommendations. Hi CC. Sorry for the delayed response. I’ll do my best to answer a few of your questions, but most of them should be discussed with your doctor. Keeping your doctor involved with your results during your treatment regimen is in your best interest, so that they can make any adjustments if needed. For my patients with SIBO, I do recommend a low carbohydrate diet. An overgrowth of bacteria in the small bowel will use the carbs as fuel to create methane, so minimizing their fuel is a good idea. It’s not uncommon to experience die-off symptoms 3-7 days into treatment. If your doctor approves, many people experiencing die-off symptoms are able to get relief with a simple low dose aspirin. I’ll defer to your doctor to provide dietary recommendations while on medications they prescribe. It is unclear if the methane producing bacteria are causing your symptoms while on Xifaxan, but one way to combat this would be to take Atrantil while you are on the Xifaxan. This would get rid of both the hydrogen based and the methane producing bacteria and essentially take this out of the equation. I am a 46 yo female. About 5 yrs ago I tested positive for gluten sensitivity and went gluten free then 6 months later when “cheating” I developed diverticulitis that would never heal. After being on antibiotics for eight months I had a partial colectomy. Felt better for a while but remained gluten free. Then developed gall bladder disease and had gall bladder removed a year later. I have become extra sensitive to gluten. Had another attack of diverticulitis last year after accidental exposure to gluten. I continually have digestive issues with burping, pain, constipation, indigestion, and gas but EGD and colonoscopy came back normal. Read about Atrantil and was wondering if it helps food sensitivities? Or if SIBO can present as food sensitivity? Hi Jeanne. I have several patients that successfully use Atrantil to counteract the effects and symptoms related to food sensitivities. For best results, take 2 capsules of Atrantil directly before eating foods known to trigger a reaction. The short answer to your second question is yes. SIBO can sometimes present and even cause gluten or fructose sensitivities. If you try Atrantil, I am hopeful that it helps with managing the symptoms associated with your food sensitivities. Hello, How nice to find a G.I. doctor who is trying to help SIBO sufferers. I (60 y-o F) have probably been suffering for years with IBS-C but only realized what it was about 6 months ago partly because it would be so many hours after eating that I would have symptoms; therefore, I didn’t make the association with food. My hx includes a very bad case of Salmonella 8 years ago, which stayed in my bloodstream for 9 months. Then, 3 years ago, I contracted Giardia. I had put myself on a Paleo diet about 7 years ago to deal with reflux and hypoglycemia and it did help; I then went to AIP-Paleo to help with osteoarthritis. -So I have had little or no grains, dairy, legumes, etc. for years. This past June I had a “flat-lined” hydrogen breath test from Commonwealth. I have been working with Naturopaths and have been told that this was probably hydrogen sulfide or could also be very slow motility. I went on a 6-week herbal antibiotic regiment along with a SIBO diet (Siebecker) but at the end I was in the same boat. Haven’t retested yet and am not sure it makes sense since I feel the same. I am wondering how you decide when to recommend the Elemental Diet. It seems like a dreadful way to spend 3 weeks but I don’t know if I have an alternative. Despite my very limited diet, I still have bloating. Have you found the high “cure” rates that are reported for the Elemental Diet? I have lost a lot of weight and am below my recommended BMI. I have also recently developed anemia. I am still working with the Naturopaths and am going to be tested for the Vinculin antibodies given my Salmonella hx. I have just started Resolor (obtained from Canada upon rec of Naturopath). I understand that you cannot give medical advice, but any comments would be appreciated. Sorry I am not near Texas. Thank you. Hi Joan. I’m sorry that you’re having so many health issues. I don’t often recommend the elemental diet to patients presenting SIBO symptoms due to the commitment required to complete the diet successfully and the short term solution that it provides. An alternative option to consider would be an OTC product called Atrantil. If patients respond to Atrantil then we have made the diagnosis and treated the SIBO at the same time. I prefer this option since it focuses on continually removing the bacterial overgrowth from the small bowel; whereas the elemental diet starves the bacteria temporarily with the hope that the bacteria will not return. I am hopeful that this helps and that your health improves very soon! My question is regarding Xifaxan. If a patient is taking it, responds with 75% reduction of symptoms after 10 days, is it standard practice to continue with another round of the med until symptoms are gone? I know it is absorbed only in the small intestine… Are there any risks with taking it for longer durations? Lastly, If a patient is taking 1200mg xifaxan a day, is Atrantil generally considered safe with this dose of antibiotics? Hi Tara. I typically give my patients a minimum 14-day treatment course of Xifaxan. While a treatment schedule longer than 10 days should not be a safety concern, I’ll defer to your doctor as to whether they are agreeable since they have access to your medical history. I have treated many patients who have taken Atrantil and Xifaxan at the same time without any problems. I have been experiencing diarrhea consistently for quite some time now. Over the last 6 months, I have done a complete lifestyle change (with support from a holistic doctor) that has done wonders for my health. I’ve lost weight, energy increased, all blood work numbers are MUCH better and in some cases perfect. I’ve had, in addition to the blood work, stool tests and saliva tests done. Everything is looking really, really good, but…we haven’t been able to kick the diarrhea issue at all (some days are better than others, but in no way is this the way my bowel movements are supposed to be). I look and feel healthy in every other way. The only exception is an apparent mal absorbtion issue. I’ve been taking Zinc 3 times a day (because the blood work showed I was really low) and…after 6 months of the supplements, it hasn’t come up at all. I have not been diagnosed with anything….have not been tested for SIBO, but many of my issues that I have and that I have had (which have been significantly relieved with this new lifestyle plan I’m on) point in that direction. So, I’m considering taking ATRANTíL to see if that helps. I am very, very concerned about taking something that specifically says it’s for constipation on the label. With having the opposite problem of constipation…well…you can imagine the fear of making my problem worse. Have you personally worked with patients who have gotten worse due to the supplement being specifically for constipation? I’m just really scared to make things worse…especially since I’ve worked so hard to get where I am today. Could you elaborate on your experiences with the efficacy of Atrantil? Percetange of SIBO patients who benefit? I was diagnosed with SIBO 2 years ago- Tried Xifaxan without success. Subsequently tried SCD/FODMAP combination diet with some relief. One year after dx Metronidazole with cipro and I think also neomycin “cured” me. After antibiotics for infection, SIBO symptoms have returned– constipation, bloating. etc. Hi Steve. In clinical trials, Atrantil had over an 80% success rate with SIBO patients. It takes most patients 10-20 days of taking Atrantil 2 capsules 3 times a day with food to get relief from their bloating. That timeline can be a little shorter or longer depending on the bacterial overload. SIBO is typically recurring, so it’s not unusual to have it reappear after an event like an infection. I like to give my patients an option of trying OTC products versus antibiotics, so Atrantil has proven to be an effective initial treatment for many of my SIBO patients. In cases where it doesn’t work we then look at other treatment options and/or explore whether the cause of symptoms may not be SIBO. I hope this helps and that you find a solution that works for you. Hi Brenda. I recommend Atrantil to patients that have bloating w/constipation and bloating w/diarrhea. I believe the Atrantil label is being updated to read ‘change in bowel habits’ instead of constipation, which will be inclusive of both diarrhea and constipation. If your diarrhea is from SIBO, it is likely Atrantil is a good solution for you. However, if you do not have bloating along with diarrhea I would not recommend Atrantil and have you discuss with your doctor other treatment options. I hope this helps! I smell terrible due to sibo. Once in the medication how long does it take to see improvements ?? I’ve been taking rifaximin for 4 days now and don’t see any changes in my motility nor smell. I don’t smell myself but people around me can’t stand to be near me. Hi Jane. There is not a definitive number of days to achieve relief with Rifaximin. Every person’s situation can be unique, so these questions should be discussed with your physician. I hope you start to feel better soon. Hi Gargi. Since Rifaximin is occasionally used to treat C diff colitis, it is unlikely that it would cause someone to develop C diff colitis. However, I would defer to your physician to determine the exact cause in your case. Online dialogue relative to individual treatment advice is not permitted by HIPAA guidelines in the U.S.A. I understand that SIBO patients can experience some frustration if their physician is not familiar with this condition. If you’re not getting the results you would like, my advice would be to see out a specialist that has experience with treating SIBO in the UK. I wish you the best and hope that you start to feel better soon. Hi – Any idea if Atrantil affects the menstrual cycle? That is, does it typically result in delayed or skipped ovulation? We have been trying to conceive and are dealing with sensitive timing. However, it would be nice to give Atrantil a shot to address my recently-diagnosed SIBO-C before becoming pregnant. I’d love to try 10-14 days of Atrantil in the first 10-14 days of my cycle, but would stop at ovulation to ensure safety to potential fetus. Before taking a chance with affecting my cycle, I would love any insight regarding whether Atrantil is likely to result in delayed or especially missed ovulation (as I understand antibiotics are known to do). Many thanks! Hi dr eidem, wish you a happy new year! Thankyou so much for replying and it was very helpfull indeed. Well the diarrhoea has stopped since stopped the rifamixin and neomycin. Anne would you share what the bad advice was? I’ve gone through two rounds and I’m worse than ever. I’m helpless and desperate. Depression has taken over my spirit. I’ve been so sick for two years and I can no longer function in my daily life. I am waiting five weeks to see the doctor again and I’m at my wits end . Do you recommend probiotics be taken while taking Atrantil? And if so, do you recommend a certain one? Hi Sandy. It is not recommended to take probiotics while on a regimen of Atrantil. The additional bacteria in probiotics can slow down and possibly alter the efficacy of Atrantil. After you achieve bloating relief, it is fine to resume taking probiotics. Hi Amanda. I spoke with Dr. Brown (creator of Atrantil) and since Atrantil was not specifically tested on how it might affect the menstrual cycle, I cannot provide an opinion to your question. My suggestion is to let your OB-GYN know about your SIBO-C diagnosis and see what concerns they would have over trying Atrantil to eliminate the bacterial overgrowth in the small intestine. If your OB-GYN has further questions, I would ask them directly to support@atrantil.com, since they can assist you in regards to all of the latest research in relation to the product. I hope you are able to get some relief from the SIBO, and I wish you the best in becoming pregnant. experiencing early satiety which is why I reach out to my GI specialist recently I will be starting xifaxan tomorrow. I was looking for info about this drug and wanting to know what I should expect? Also wanting recommendation on natural remedies that I can do after antibiotics to make sure my intestines stay free of bacteria? Hi Kim. I’ll defer to your doctor to provide you with the information you’re looking for on Xifaxan and how it could possibly help your symptoms. In regards to natural remedies, I recommend Atrantil to my SIBO patients and those suffering from bloating with/without constipation. You can find additional information at Atrantil.com or by emailing support@atrantil.com with any questions that you have. Good luck and I hope that you start to feel better soon. I just started the physicians elemental diet, 2nd full day today. I’m already starting to have bloating and burping- assume it’s the start of die off. Any suggestions to help ease the die off period? Any way to speed it up? Hi Tiffany. Many people take a low-dose aspirin to reduce the severity and duration of die-off symptoms. If you have any issues with taking aspirin, I would recommend that you consult with your physician before doing so to relieve die-off symptoms.